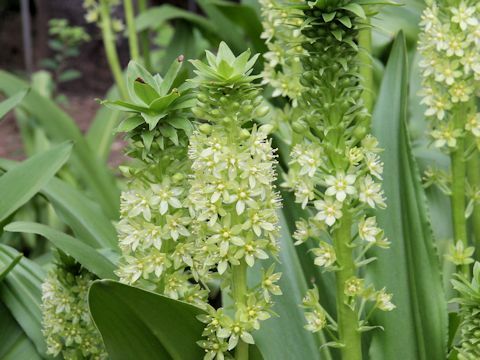 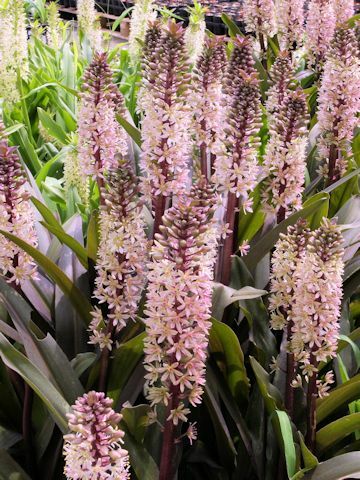 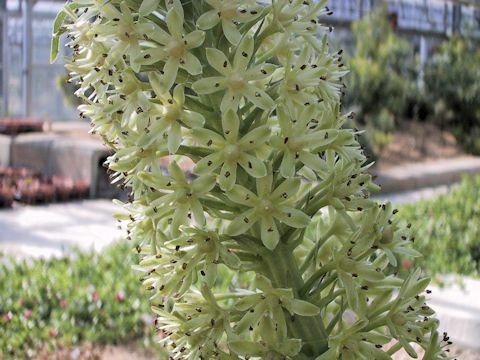 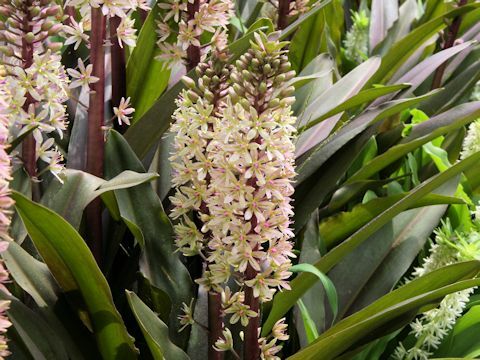 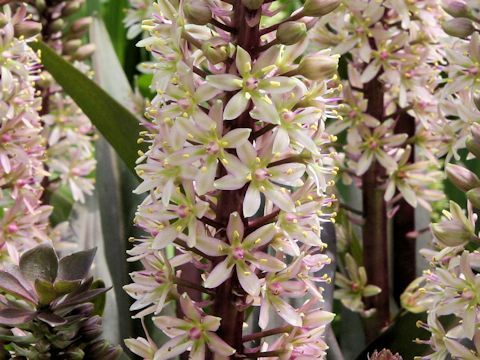 Pineapple plant (Eucomis sp.) 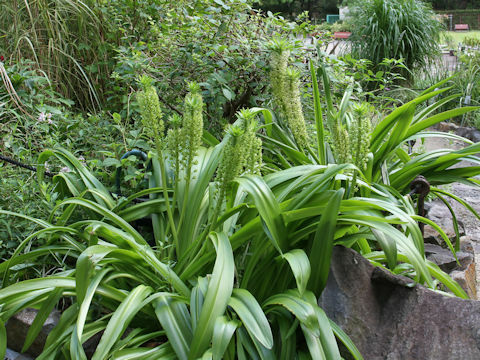 belongs to the Liliaceae (the Lily family). 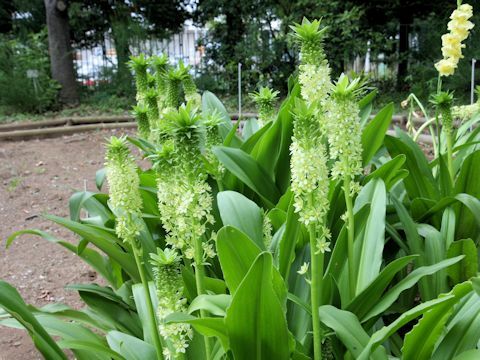 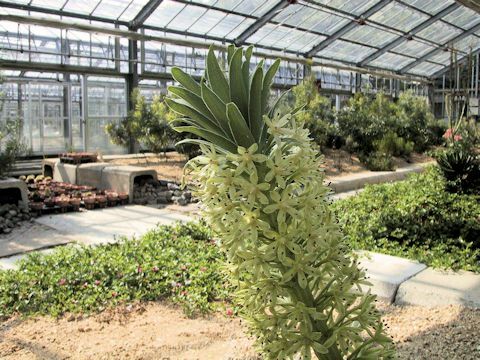 It is a perennial herb that is native to South Africa. 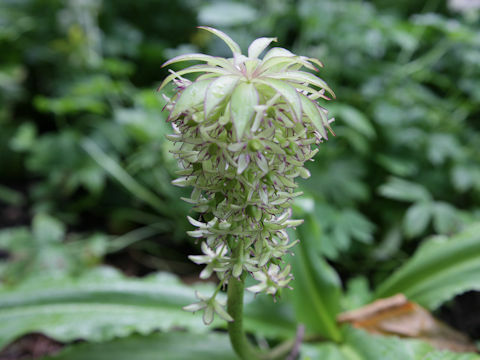 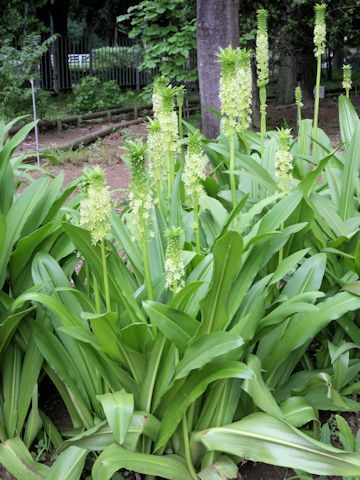 This herb grows in wettish mountain slopes, and can reach 30-60 cm in height. 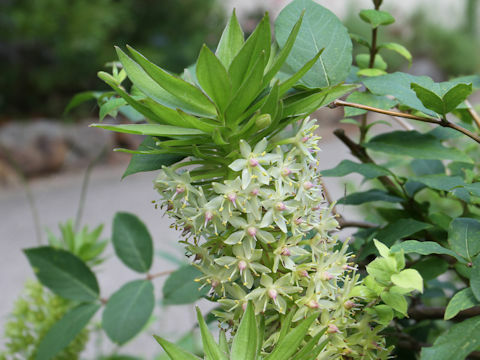 The leaves are clumping in rosette with undulate edges. 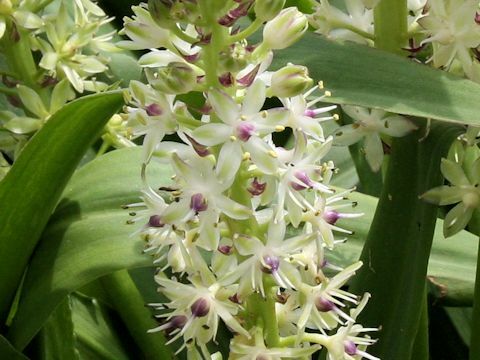 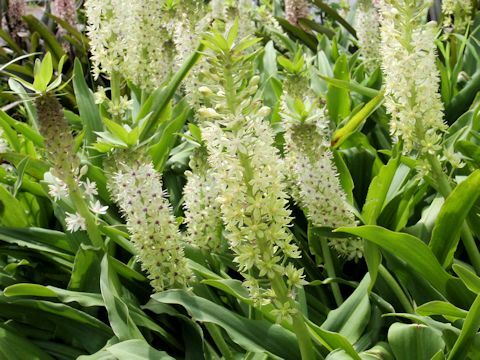 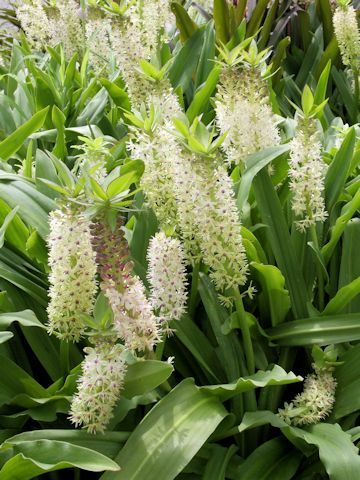 The long racemes are borne at the flowering stalks and the white or pale greenish white flowers bloom from July to August. 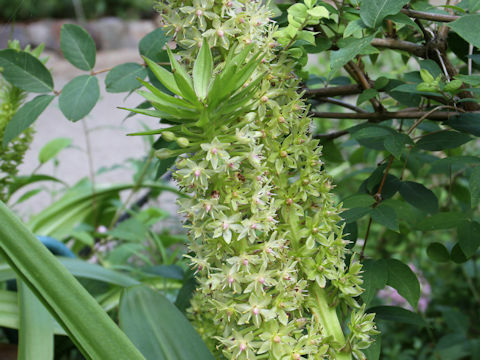 The fasciculate bracts are borne at the flowering stalks and they look like pineapple.